For our sport to grow, we need new players to feel welcome even in a competitive atmosphere. 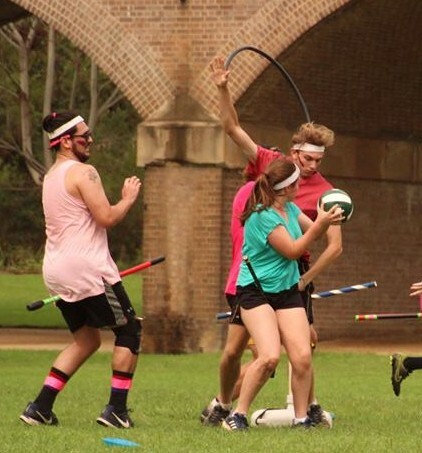 For the University of the Sunshine Coast (USC) and now the University of Sydney (USyd), they have done this by setting up an Internal League – hitting a sweet spot between social event and competitive Quidditch playing. 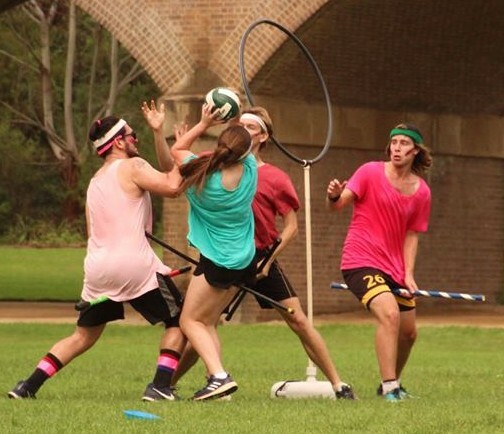 The USC Quidditch League (USCQL) has been a tough competition for years; with two seasons every year and four teams, it has lead to a strong USC Dementors outfit at a State and National level. For USCQL founder and QA Director Alise Fox, USCQL is a perfect way to “field newbies that were recruited during O Week” and to “Start to eye off the new players for the Dementors”. The eighth season of USCQL is due to begin today, and QA Today will be reporting results as soon as we have them. A bit further south, the University of Sydney Quidditch Club has built a reputation as the best recruiters in the country; they were among the first to have two competitive teams in State League level play, and last year boasted three competitive teams all the way through to QUAFL. 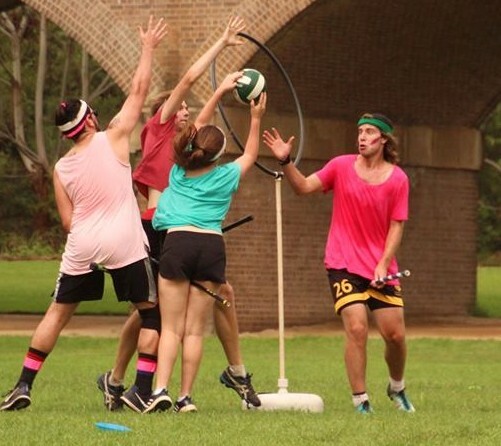 At this year’s first State League competition (NQL), USyd did not bring any of their new recruits and still almost had the numbers for three competitive teams, so it is inevitable that they will field at least three for the rest of 2018. Why stop there? 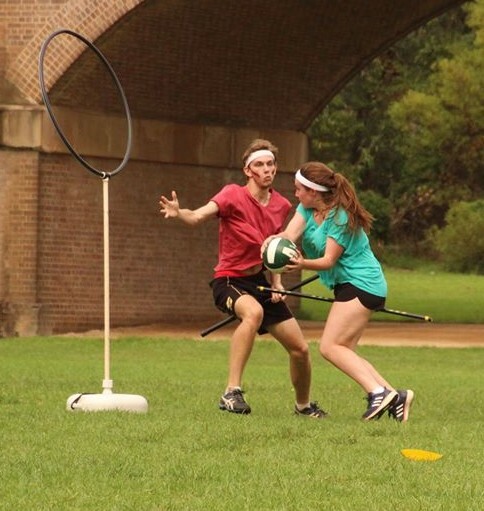 QA Today has been told by inside sources that USyd’s 2018 Quidditch Facebook group now has more than 100 members. No, that is not a typo. For USyd, and every other team, recruiting players isn’t the only challenge; it’s keeping them in the sport long-term. 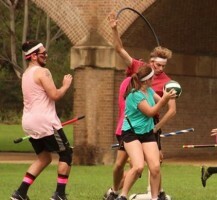 Key to this is to have differing levels of involvement available, something which USyd especially excels at; from a vibrant social scene for those uninterested (for now) in playing, to super-competitive NQL teams. The newly-minted USQL attempts to hit a niche between those two extremes. USQL Director Ava McConnell spoke to QA Today about the competition, which has been hailed a huge success. 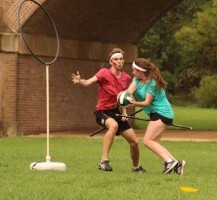 McConnell described first experience in Quidditch as “getting thrown in the deep end” – being on a team of mostly new recruits against a strong ANU outfit – and so wanted a competition without “too much pressure” so players could “make mistakes, learn, and have fun”. Each team features a mix of old and new players, helping mentor recruits through the complex nature of the sport. That doesn’t mean there’s nothing in it for experienced players, as McConnell points out; “it’s an opportunity to try new things that they often don’t get to do at NQL — they’re trying new positions, new teammates and new tactics”. 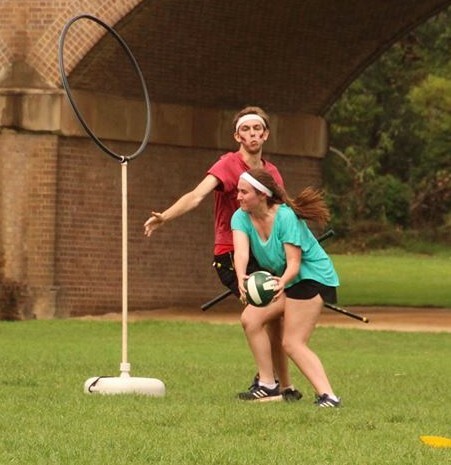 Coupled with a savvy social media campaign that hyped up the games enough for even timid players to be excited, it was a highly anticipated event for USyd Quidditch. 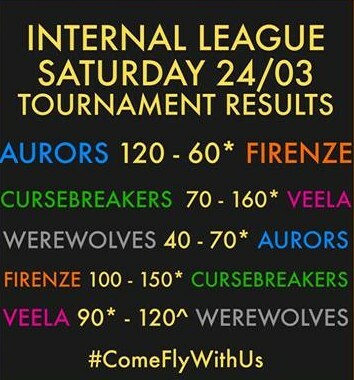 On the 24th of March, USQL kicked off with preseason games, with a proper tournament running for the rest of the year. 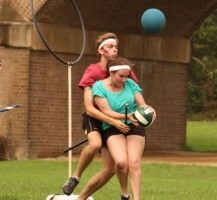 The Abercrombie Aurors were the only team to win both of their games. 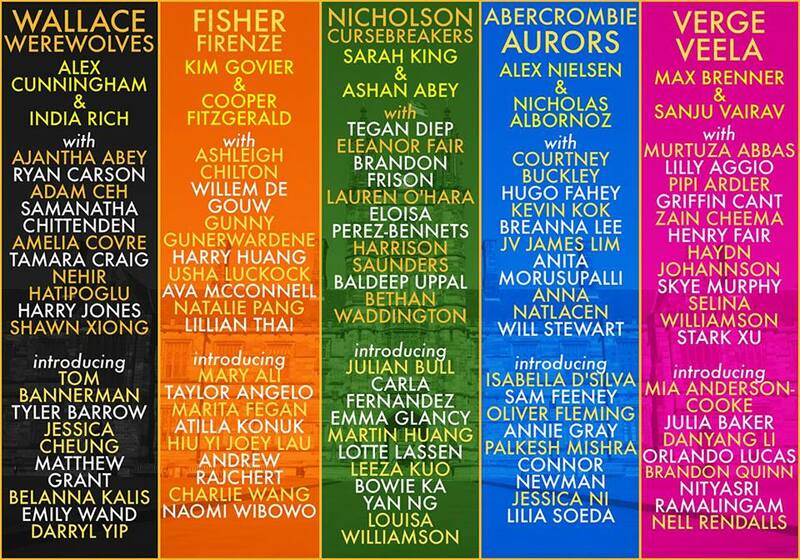 However, with new players learning quickly and several notable ommissions, including all three USyd Dropbears (Brandon Frison, Samantha Chittenden, and Harry Jones), this competition is wide open for the rest of the year. McConnell was ecstatic, telling QA Today that she was most impressed by the attitude taken by new recruits; “I saw quite the change in people just over the course of the day — from, ‘oh, this is fun and a bit silly and pretty weird’ to ‘this is the most fun I’ve had at uni’ and ‘this is something I want to be really good at’, just in a few hours”. Sounds like USyd is doing something right. With this extra practice under their belts, you can expect big things from even the newest members of the USyd teams at the next NQL. The USC Dementors are only going to get better too, as their internal league brings new players into the fold. 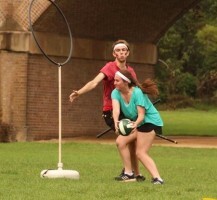 Two of the top University-based teams in the country are only getting better and better, and that should ring alarm bells across the rest of the Quidditch community. QA Today will bring you more USCQL and USQL results as we get them. 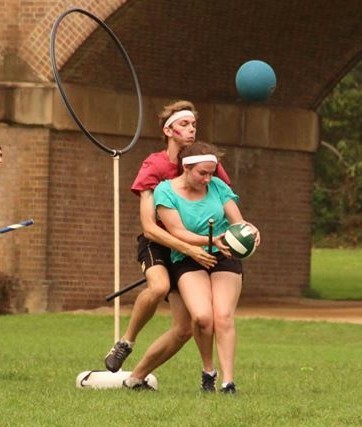 If you want to see more of USQL’s first match day, both Ajantha Abey Quidditch Photography and Courtney Buckley Photography took some great shots of the tournament, including this amazing goal from Eleanor Fair for the Cursebreakers.